Best PMP Certification Training Courses of 2019 – Top 4! Pay for 3 Retakes up to Cost of Course, Balance Refunded. 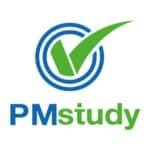 Bottom Line: What sets this course apart from every single other PMP online study program on the market is their gamified narrative structure. Students even have a virtual instructor in the form of a cartoon Sensei! Excellent Resources: In addition to online PMP classes with an instructor, you will get five full-length PMP Simulation Exams, 83 Chapter-end quizzes, and 4 PMP exam simulations to practice exam-like questions. The live online course includes full access to all of the online PMP materials available in the Self-Learning course, so you can keep studying even when you are not in class. Money Back Guarantee: Simplilearn offers a 100% Money Back Guarantee, so if you don’t pass using their course you get a full refund! This shows just how confident they are that their course will help you get your PMP certification. using their course risk-free. For their 4-day PMP Bootcamp, the re-examination fee is paid by Simplilearn and the remaining amount is refunded if you do not pass the exam. Bottom Line: Although SimpliLearn’s PMP training course is of a tremendously high quality, they offer a very generous trial offer and an affordable asking price. Students will also receive several contact hours and PDU’s. 100% Money Back Guarantee: GreyCampus offers a 100% money back guarantee if you do not pass the Project Management Professional exam the first time you take it. You must take the PMP certification exam within 14 days of completing the course completion, finish the entire course, pay all enrollment fees, and pass 2 of the Mock Tests in the GreyCampus portal with a score of at least 75% to qualify. Mobile App: GreyCampus has a mobile app for Android users with some free content as well as access to 13 knowledge area exams and more than 200 flashcards. This is a nice extra because you will want to study in between your live PMP classes whenever you have time in order to get the most out of the course. Unfortunately, there is no app for iOS devices. Bottom Line: All of the instructors associate with GreyCampus are highly experienced and their Android mobile app is convenient for students on the go. They also offer a full year of access to their material. Bottom Line: PMStudy offers a user-friendly and hassle-free PMP certification course that even includes a generous 30 units of CPE. However, all of these enticing features come at an intimidatingly high price.